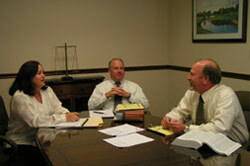 Jacksonville Business Litigation, Construction Law & Personal Injury Law Firm - Tomchin & Odom, P.A. Tomchin & Odom offers litigation services to individual and business clients with legal needs, including state, federal, and appellate matters, arising in Florida or subject to Florida jurisdiction. The office is located in Jacksonville, Florida, and serves clients throughout the state of Florida and the rest of the United States. Our clients include large, public corporations, closely held businesses, limited and limited liability partnerships, sole proprietors, and individuals. The firm consists of three attorneys, two paralegals, and an office manager who work together to provide clients with the best legal services possible. The firm prides itself on a dedication to preparedness and tenacity. By working together to leverage all resources available, the firm is able to develop and argue cases that help clients resolve legal issues as favorably as the law allows. 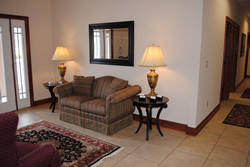 The firm is comprised of two founding members, Kenneth A. Tomchin and Lisa S. Odom, and senior attorney, Brett P. Abner.